Ok, big disclaimer...I have a piece in this book, so of course it's going to be hard for me to be objective about it! So what? 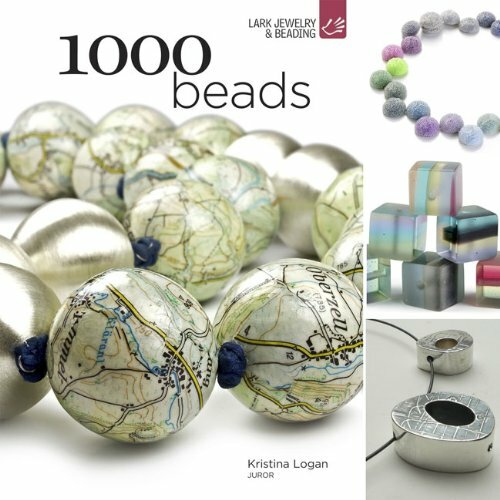 1000 Beads, compiled by juror Kristina Logan for Lark Books, is full of the inspirational work that you've come to expect from this series. Traditional and alternative materials are both represented here: glass, porcelain, polymer clay, fibers, seed beads, colored pencils, bone, metals, stones, fabric, wood, leather, and in my case, antique plumbing fixtures.